Green Bali Four Leaf Clover Extract tablets are a one of a kind extract product made exclusively for Carolina Kratom. Green Bali Four Leaf Clover Extract tablets start with extract that is made from the finest quality leaf powder that Carolina Kratom is known for. The extract is then pressed into a tablet form. The Four Leaf Clover Extract tablets are then scored so they can easily be split into 4 equal sections. 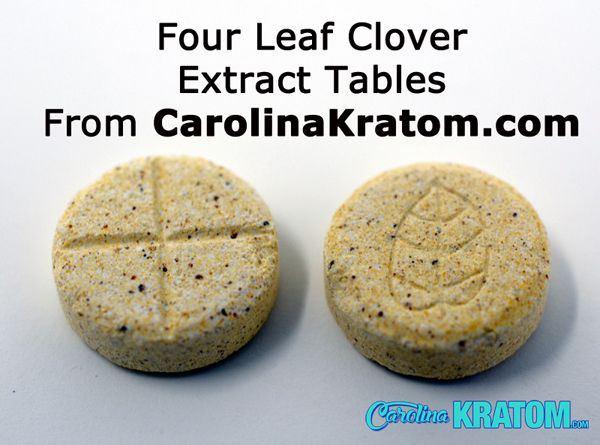 One of Carolina Kratom's Green Bali Extract tablets are equivalent to 4.2 grams of regular leaf powder. 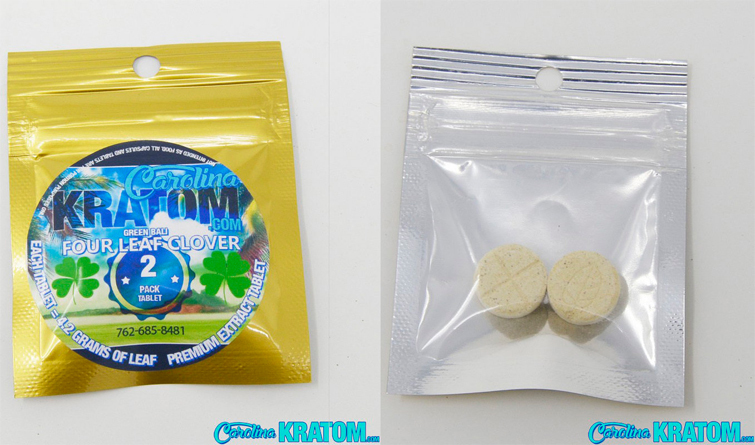 Carolina Kratom's Green Bali Four Leaf Clover Extract tablets are easy and convenient for on the go, traveling or just for someone looking to avoid the loose powder by having the tablet form. Customers of Carolina Kratom all agree the Green Bali Four Leaf Clover Extract tablets are a must have. 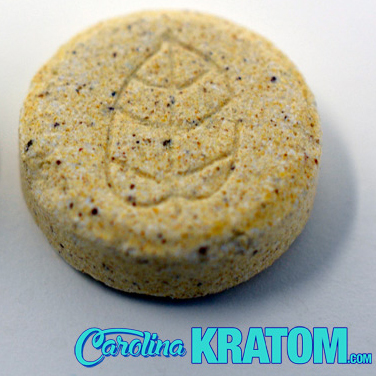 Carolina Kratom report an increase in mood, a push of motivation and a edge off of their aches. Grab a couple or grab a 10 pack you'll be sure to love them as well. I buy these because they're easy to carry in my purse for days when I away from home longer than expected and didn't bring any/enough capsules. I only need 1/4 tablet for my dose, so it helps me justify the cost, compared to making my own capsules. I get pain relief and some mood boost from these tablets. It's nice that they don't crumble when broken on the score or when left in my purse for weeks at a time. Convenient and effective, quality product - gotta love it! Great for assisting with energy! It’s a daytime option for me, gets my day going! Wonderful for extra energy - I love Carolina Kratom. The green Bali Clovers from Carolina Kratom were excellent for my mood and back pain. I was in a foul mood until I tried 1 of these. They are even better with a Red clover. Easier to take than powder. Not a huge fan of extracts but these work good and they're convenient. These are great for pain or any discomfort. So glad Carolina K carries these. I don’t like to give a good review for these because everyone will buy them up, but they just work so well for whatever ails ya! Great mood boost! Having a crappy day I promise this will make you want to smile an be around that annoying coworker that never shuts up an be able to keep a smile on your face an not care! I love the convenience of the extract tablets for dosing while I'm out shopping or doing activities with my family. It helps my pain and peps me up. These are by far my favorite items from Carolina K! I wish they sold them in larger quantities. They are perfect and easy to use.